It is true that dried vegetables are one of the best options that help us in staying healthy and fit throughout the whole day. Some people have a misconception in their mind that dried vegetables do not contain any useful minerals and vitamins, but this is not a correct fact. In fact, they consist of lots of nutritional content which is good for our human body. We are not saying that dried vegetables have the same nutritional content which you get from the fresh vegetables, but still, it has them in the right quantity. During the time of dehydration process, while removing the water content from the food, few nutrients also get vanished or get reduced. But this does not mean such dried food is not healthy to eat. You get the nutrients but in small quantities. The store bought fruits and vegetables are less healthy than the homemade dried food. So, if you want to remain fit or desire to lose some weight then, it is better to go for a homemade option. So many of you might want to know about the nutritional content of the vegetables? Well! In the below article, we will surely answer your question but before that let's discuss some relevant information regarding the topic of the article. What Happens to the Nutritional Content of the Vegetables at the Time of Drying Process? When you go for buying the dried vegetables from the market, you will find the texture of the vegetables in the old forms. Some of you might not like this but if you want to preserve the vegetables for the longer period then dried form is the only way. 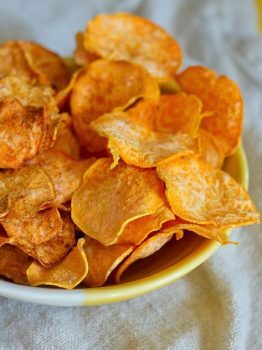 One of the main advantages of the dried vegetables is that its nutritional content remains unchanged. You can easily use them in your daily food intake. But the main thing is that the nutritional content of the vegetables does get change after drying. For example, if you take 1 ounce of fresh basil, you get 30% of the vitamin A, 145% of vitamin K and 8% of vitamin C. This herb also comprises of omega-3 fatty acids in the quantity of 88 mg along with the ORAC (Oxygen Radical Absorbance Capacity) value of 1200. But in one tablespoon of dried basil (that is almost the same quantity of fresh basil). It will offer you only 4% of the vitamin A, 2% of vitamin C and only. The dried basil will have around 33mg of omega-3 fatty acids. The calorie content of the fresh vegetables and the dried vegetables remain the same. It does not change. In fact, it gets concentrated into smaller size as soon as the moisture from the vegetables removed. It will take only half of the space which fresh vegetables usually take. The food dehydrators which are currently available on the market have a new technology to remove almost entire moisture content in vegetables and leave only 2 % to 3 % in the end product. Along with the removal of the water content, the shelf life of the vegetables gets increased. There is no change in the fiber content. During the drying process, the whole dietary fiber content remains unchanged. It means that the dried vegetables are a high-fiber food option. When any food possesses a nutritional fiber, it makes you feel full in the stomach along with the reduction in the problems like constipation. Either you consume the vegetables insoluble, or in non-soluble form, the content of fiber always remain high. The Vitamin A is equitably well retained in the dried vegetables if you dry them in the controlling temperature of the food dryer. There are some dehydrators which do not come with the temperature control feature which ultimately results in significant loss of Vitamin A while drying food. Some people who still use the conventional method of drying lead to the great reduction in the vitamin. Vitamin B is a water soluble vitamin which gets lots during the rehydration process of vegetables. But if you soak them in the water then this vitamin can get preserved. It is one of the most important vitamins which mostly found in fresh vegetables. But during the time of drying as well as blanching the vegetables, this vitamin gets lost. At the moment of drying, when the vegetables exposed towards the heat Vitamin C starts getting vanishing. So, if you want to retain some of this crucial vitamin then just keep the temperature low of the machine. These vitamins also get lost in the dehydrated vegetables at the time of blanching. So, if you want to retain some of the Thiamin, niacin and riboflavin vitamins then just keep the temperature low of the machine. Lots of minerals also get lost in the drying process, but the Iron does not vanish. The best way to preserve the minerals is to soak the vegetables in the water. The texture of the dried vegetables gets changed from the original form while drying. If you want to retain back them then, just simply soak them in the water. However, the dehydrated vegetables can directly use while making soups, stews or sauces. They possess little softer texture which provides a good flavor in the dishes as a finished product. You should either grow fresh vegetables in your garden or might buy them for the farmers how provides fresh vegetables. The more the vegetables are fresh, the more nutritional content will it offer? If your food dehydrator needs rotation in between the process of drying then, you must do that properly so that food does not get over dried. You should be attentive at the time of drying process. But if your dryer has temperature control feature, then you are safe from the over drying issue. Before drying the vegetables, wash them and cut into evenly thick pieces. It will help in the uniform dehydrating of the food which helps in avoiding the over drying. With the over drying, lots of nutrients in the food gets lost. 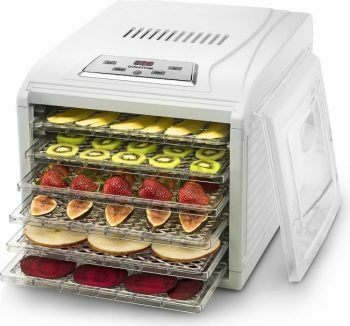 You must use a good food dehydrator for drying vegetables which come with the temperature control feature. Before taking out them from the machine, always check whether there is no water content left inside the food. When you dry food with controlling temperature, then you can save some minerals and vitamins in the food. With the help of pre-treating, you can save lots of nutrients in your food. You just have to dip the fruit and vegetables in the citric acid or lemon juice. It not only protects your food from turning brown but also preserves the vitamin C and vitamin A in the food. But unluckily in this method, the thiamine also gets reduced in dehydrated food. By doing the blanching of the food, you can preserve the carotene in the food. But the side effects of the process are that the content of the Vitamin C also gets reduced but in the lesser amount. The steam blanching is more beneficial than the boiling water blanching as fewer nutrients get loose under that method. There are lots of scientific researches which show us the benefits of including the dehydrated vegetables in our diet. So, if you still not have made any change in your daily diet, then it is the best time to start. It not only provides advantages to your health but also offer you a good amount of energy for the entire day. In the above article, we have shown you that the dehydrated vegetables do have limited nutritional value in comparison to the fresh food. We are not saying that it is a good substitute for raw food, but it can take the place of the junk food or store bought snacks. There are lots of different recipes in which you can utilize the dried vegetables like soups or sauces. They not only enhance the overall flavor of the dishes but also provide you a healthy treat. You can store them easily in your kitchen cupboard. But you should remember to place them inside a cool and a dark place so that they can have a longer shelf life. 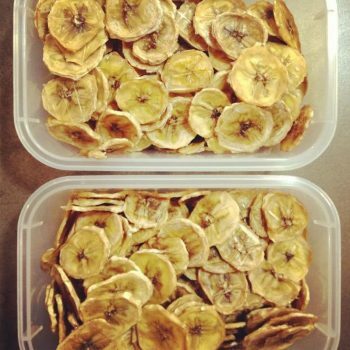 Dehydrated vegetables are the best way to give a healthy treat to you! We hope that now you have got an answer to your question from the above article if you still have any query then simply let us know in the below comment box. We will respond to you as soon as possible. However, if you want to share any good thoughts with us that can make our article more helpful and informative, you are most welcome.